Talking is often seen as the most common method or type of communication but most communication is silent. Gestures, the tone of voice, grins, grimaces, shrugs, nods, moving away or closer, crossing arms and legs all tell us far more than words. Learning to take account of these reactions is all part of developing your communication skills to achieve the best outcomes for individuals. Communication can be harder when we can’t see these signs like when we use the phone, texts, or email. 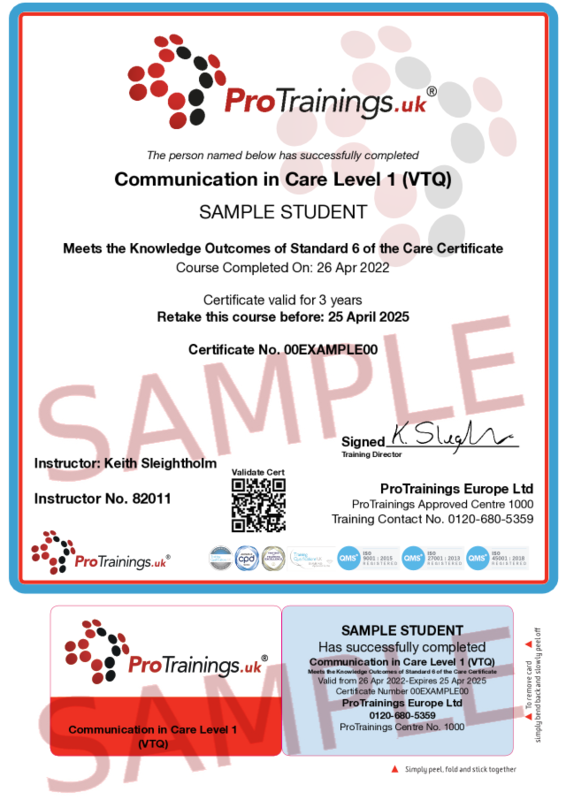 This course meets Standard 6 of the Care Certificate for the knowledge learning outcomes. 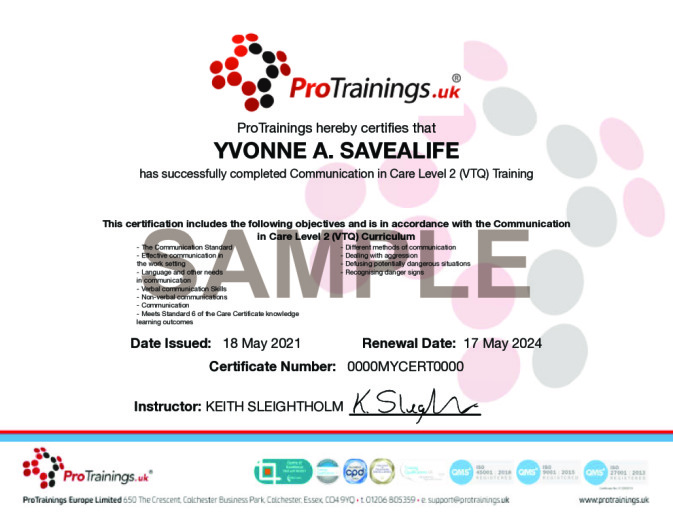 This course comes with 2.0 hrs (4.0 class) of CPD, although the time to complete the course online may be less than this. Total course time includes 41 minutes of video training as well as knowledge reviews, final test, remedial help and reviewing downloaded material.